As parents we know your love and concern for your family. We share those same feelings for our own children. At SantaTrackers.net our goal is to provide a fun, safe and interactive Christmas experience for elves of all ages. We have designed our site to be compliant with all laws regarding contact with children. We do NOT collect or distribute any private information. We do not even offer advertising on SantaTrackers.net. 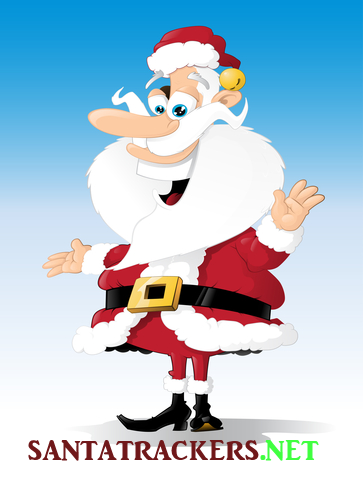 This site is about Christmas, Santa Claus and enjoying the season. We encourage you to participate on this site with your children. We even more strongly encourage you to register as an elf and do your part to help Santa get around the world. Don’t worry, your kids will show you how it is done. Along the way we hope you investigate and share with your family the true story of Santa Claus. We likewise hope you will visit the news site of the North Pole and engage in the story line and breaking news of Santa and his merry crew this Christmas. At the very least, take a look at where Santa is on the map come Christmas Eve. Your elf — er, child — is part of that while participating here. Parenting does not always have to be about being busy and doing things your kids don’t do. Some times it is okay to come down to their level and just be a kid, too. You can do that here with great joy. And that’s all we’re about — great joy. Please feel free to contact us with any questions or concerns.